BITScan is an annual magazine being published by BITS Pilani, Hyderabad campus in January every year. It talks about the events that happened during the previous year at Hyderabad campus. The first Inaugural issue came out with the events for 2007-2012. The ATMOS 2016, the National Techno-Management fest of BITS, Pilani – Hyderabad campus was inaugurated on Thursday 13 October 2016 by Dr. Tessy Thomas, Project Director of Agni – V, DRDO, Hyderabad. Prof. G. Sundar, Director presided the inaugural function. ATMOS spanning over 3 days from 14 October brings a plethora of exciting contests, workshops, lectures and much more. Over 15000 students from all over India are expected to participate in ATMOS’16. During the inaugural function, BITSAA - Prof. S. Venkateswaran faculty excellence award for 2015 has been awarded to Prof. P. Yogeeswari for her immense contributions to education, students and the institute by the Chief Guest Dr. Tessy Thomas. 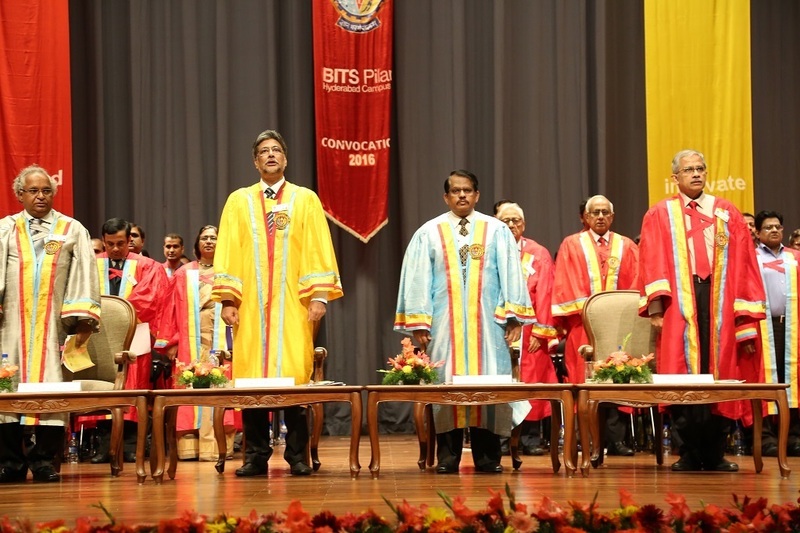 The Birla Institute of Technology and Science (BITS) Pilani, Hyderabad Campus held the convocation ceremony for its graduating students of 2016 batch on 14 August 2016. 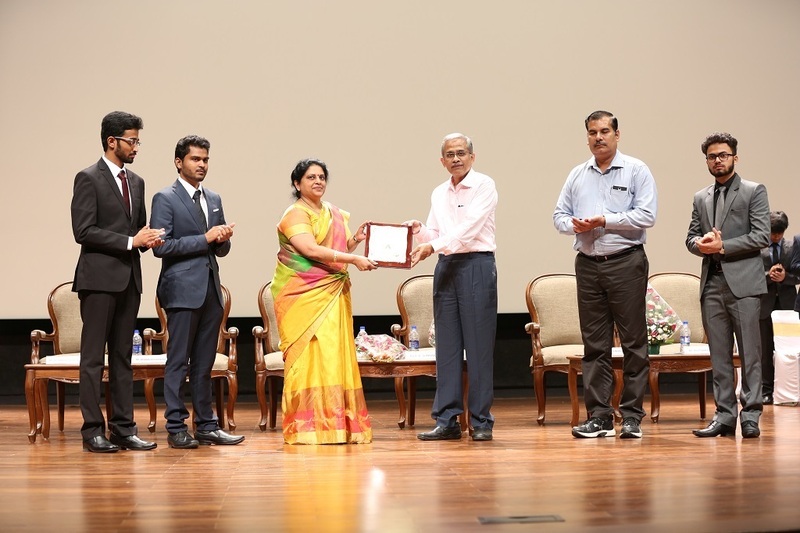 Dr. S. Christopher, Secretary, Department of Defence Research and Development & Director General, DRDO graced the occasion as the Chief Guest and was joined by Vice-Chancellor, Prof. Souvik Bhattacharyya, Director – Hyderabad campus, Prof. G Sundar, along with the senate members, faculty, and staff. The state-of-the art auditorium was filled with excitement and enthusiasm of the graduating students, their parents, faculty and staff. 675 graduating students of First Degree, 60 of Higher Degree and 30 of Ph.D Programmes were awarded degrees on the occasion. Mr. Aditya Chandrasekar, Mr. A. Sai Darshan and Ms. P. Sarguna Janani were awarded Gold, Silver and Bronze medals respectively for their outstanding academic achievements. The Chief Guest, Dr. S. Christopher, emphasised on the need of sustainable development and the challenges associated with it. "Being a scientific community, let us make a positive difference to the future of the society and the health of the planet,” he said. While wishing the graduating students good luck in life, he encouraged them to empower the nation with their education and advised them to always aspire for deepening and broadening their knowledge. Presenting his annual report and sharing the future roadmap for the University, Vice Chancellor, Prof. Souvik Bhattacharyya, said that BITS Pilani’s industry engagement programmes like the Practice School and the Work Integrated Learning Program (WILP) are corner stones of the educational philosophy of BITS. “BITS Pilani values work experience as a significant element of student learning and helps students discover how they learn via work experience.” With over 400 research-focused faculty members joining, the Research Seed Grant Scheme has been revised to help them compete with the very best in India. Prof. G. Ravindra Kumar, Senior Professor at the Department of Nuclear and Atomic Physics, Tata Institute of Fundamental Research (TIFR), Mumbai received the Distinguished Alumnus Award 2016. On Thursday 28 April 2016, the 10th Foundation day was celebrated at BITS, Pilani – Hyderabad Campus. As part of the celebration “ Abhinandan Samaroh” for BITSians in Civil Services was held. This was a first-of-its-kind group wherein BITIS Pilani connecting with BITS alumni in Civil Services, and arranged a felicitation which should go a long way in sensitizing the students to opt for Civil Services. 80 BITSians in Civil Services were invited of which 18 of them were able to attend the function. They were felicitated by Prof. V S Rao, Acting Vice Chancellor for their academic achievement and contribution to the Society. Dr. BVR Mohan Reddy, Founder and Executive Chairman, Cyient and Chairman, Board of Governors, IIT – Hyderabad was the chief Guest. On this occasion. Prof. Rajendra Srivastava, Dean ISB; Mr. K Padmanabhaiah, Former Union Home Secretary , Prof. H P Tiwari, Former Professor of Chemistry of Pilani Campus, Mr Chandramouli , first Civil Servant from BITS, Pilani and Mr. Srini Raju, Chairman Peepul advisors, were the Guests-of-Honour. BITS Pilani, Hyderabad Campus has come up and is doing well in all spheres of its activities. Today, there are 3300 students and 180 faculty members are in the campus. The first phase of the construction was completed in 2014 and now the institute has embarked upon the second phase for building infrastructure to accommodate more students and staff.